BOOM spoke to an Air India official who said that the letter is a hoax and an amateur attempt to malign the airline. India’s crisis ridden national airline Air India is the latest target of fake news propagators. 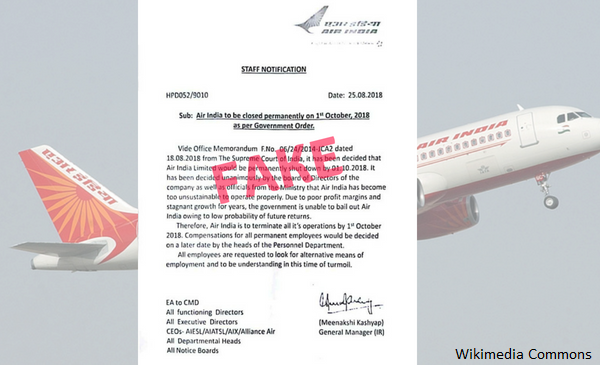 A fake letter in the name of Air India was circulated on WhatsApp and social media, claiming that the airline will shut down permanently on October 1, 2018. 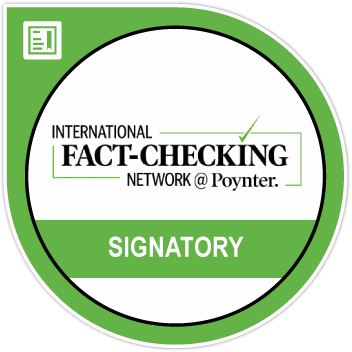 The airline quickly countered this on Twitter by alerting customers and employees against the false letter on August 24, 2018. Their tweet slammed it as ‘false propaganda’ to destabilize the company. The fake notification published on a fake letterhead announcing the shutdown and asking employees to look for other jobs, surfaced when the airline is already facing a huge debt crisis. Several reports have pointed out that the airline has accumulated debt of around Rs 48,000 crore. The subject of the letter said, “Air India to be closed permanently on 1st October, 2018, as per Government Order”. Moreover, the letter cited a Supreme Court order for the shut down. Aviation secretary RN Choubey and Air India Chairman PS Kharola confirmed that the letter is fake and said that the government has ordered a probe against those responsible, reported The Times of India. BOOM spoke to Sameek Bhattacharya, an official with the airline’s Corp Communication department who said that the letter is a hoax and an amateur attempt to malign the airline. Air India has been facing huge losses and has a debt of around Rs 48,000 cr. In an interview to PTI, Civil Aviation Minister Suresh Prabhu said, “Air India is very clearly a legacy issue. Air India’s debt is unsustainable. Forget Air India, nobody can handle that debt. For any airline to service that debt is not possible”, reported Times of India on August 22, 2018. The government has been trying to revive the airline and also divest its stake in Air India. However, failing to attract bids, the Ministry of Civil Aviation tweeted in May 2018 that no response has been received for the strategic disinvestment.